So it has us talking and singing. And why not? There’s lots to talk (and sing) about. The new film makes some significant adjustments to 1991’s script and story: new songs, updated lyrics, additional backstory. The changes do more than simply re-heat and re-serve an animated classic. 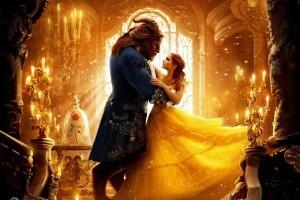 Beauty and the Beast 2017 spins the “tale as old as time” for a modern audience. Three changes interest me the most, the third in a timely way. 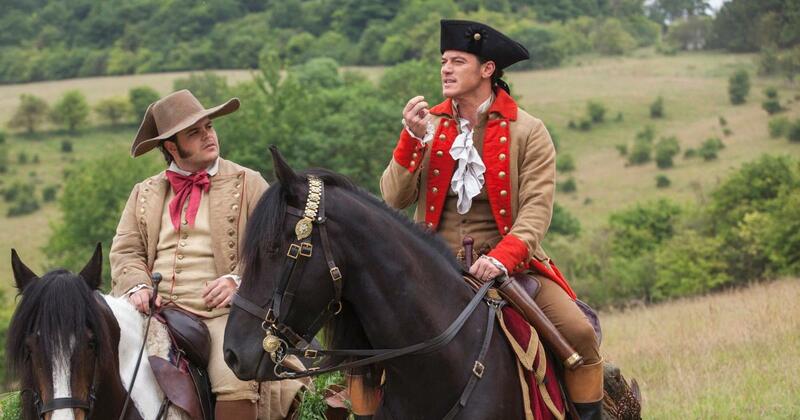 Second, the gay subtext of Monsieur LeFou’s adoration of Gaston is brought forward in the new Beauty and the Beast. In today’s culture, romantically-inspired co-dependence is a more probable (and to many, more sympathetic) motivation for LeFou’s toadying behavior toward the brute Gaston than mere manly admiration. However, avoiding the uncomfortable implications that come with having the only significant gay character in the story be a villain (see Fantastic Beasts 1’s portrayal of Grindelwald), LeFou in the updated Beauty and the Beast is permitted to “switch sides” during the battle in the castle. Confiding in a sympathetic Mrs. Potts that he and Gaston are “so not in a good place right now,” LeFou joins the fight on the side of the furniture (that’s the good side, in case you wondered). Post-modern narrative affirmed! Marginal figures are the real heroes. There are more updates to the script and songs of 2017’s live-action Beauty and the Beast, but the one that interests me most was subtle – easy to miss, even. 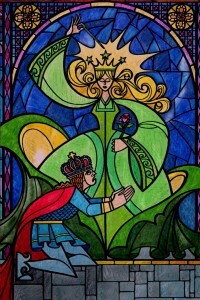 It’s the role of the enchantress in the story, and the sequence of events in the film’s final moments as the spell over the castle is broken. With Easter upon us, I’d like to examine these subtle but important changes in the new Beauty and the Beast, for they bring out the Tolkienian sense of eucatastrophe in the story. And eucatastrophe is what the Easter mysteries – and fairy tales – are all about. A haggard old woman approaches the prince in the same way in both versions of Beauty and the Beast, looking for shelter in a storm. In the revival, to good effect, her approach is given in scene instead of through the original’s montage of stained glass illustrations. However, when the old woman is rejected and transforms to cast her spell in the new Beauty and the Beast, she is not princess-like, with the curling blonde hair and enviable green gown of the animated version. Here she is profoundly powerful, intimidating and colossal, filling the grand ballroom. It’s hard to tell what she’s wearing in the glow of her golden light as she towers over the prince and his cringing guests. She is distinctly angelic – not angelic in the adorable, cherubic sense, but in the ancient, mysterious, formidable sense. This new enchantress is awe-some, with a Galadriel-esque “all-shall-love-me-and-despair” sort of vibe. Her more imposing appearance in the prologue of the new Beauty and the Beast sets the tone for the enchantress’ augmented role. In the original, she is but a clock-maker who sets the machine of the prince’s well-deserved curse into motion, then exits stage left, letting events play out as they will. 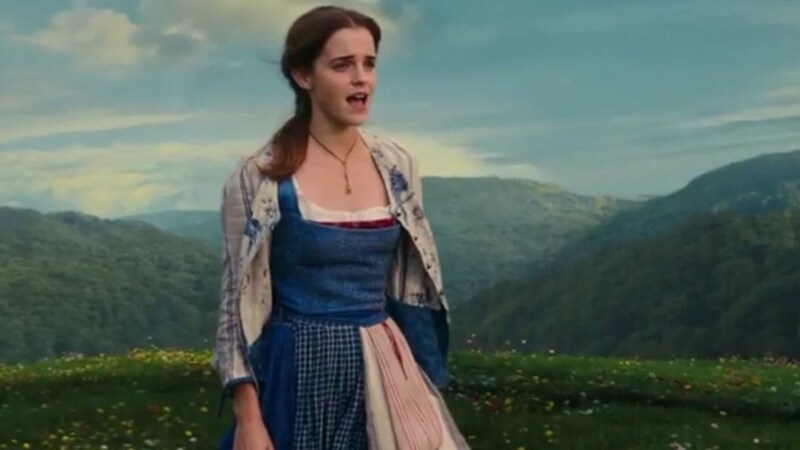 In the new version, the enchantress (played quite shrewdly by Hattie Morahan) is woven into the story, embedding herself in Belle’s village, disguised as a beggar woman, even rescuing Belle’s father from being eaten by wolves (Gaston’s retaliation for Maurice’s refusal of Belle’s hand). These insertions leave the impression that the enchantress’ reach of power goes well beyond the casting of a single spell. Rather she hovers over the narrative, in a humbler way, but just as significantly as when she towered over the selfish prince and his friends at the film’s beginning. And when the spell is broken in the tragic-turned-triumphant final scenes, the enchantress’ absolute power over the story is expressed in seemingly tiny adjustments to its events. 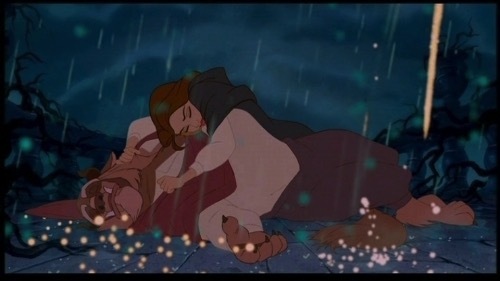 In 1991’s animated version, Belle utters her love for the prince just before the last petal falls, breaking the spell, which reverses itself automatically. But Watson’s Belle does not express her love for the dying prince until after the last petal has fallen and withered. Then Morahan as the enchantress physically appears on the parapet, sweeping gracefully into the scene like the hand of God to restore both rose and prince, castle and staff. These changes may seem insignificant, but upon closer inspection they serve to amplify what J.R.R. Tolkien called the eucatastrophe of any good fairy-tale, and Beauty and the Beast in particular: its sudden, joyous turn, its happy ending. 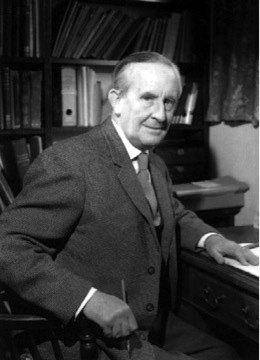 Tolkien uses the word eucatastrophe to represent that quality in fairy-stories which is opposite to tragedy – that which, in his genre-defining essay “On Fairy Stories,” he called “a sudden and miraculous grace: never to be counted on to recur.” This notion of unexpected grace is what the new version brings forward. 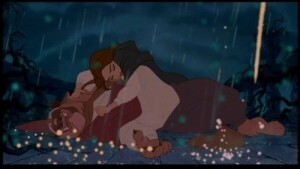 The petals had fallen, and Belle’s profession of love had come too late. But in an unexpected, gratuitous gift, the enchantress in the new version appears, not only breaking the spell, but healing the prince of his mortal wound. 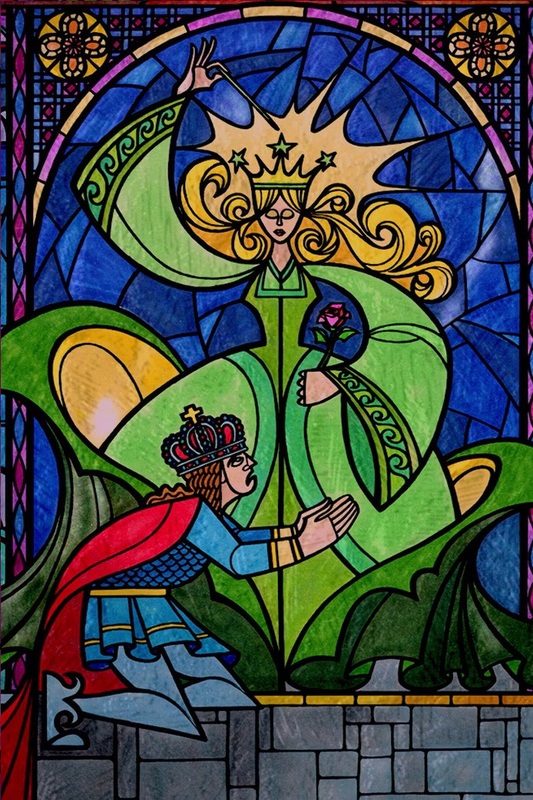 This “joyous turn,” Tolkien said, “does not deny the existence of dyscatastrophe, of sorrow and failure: the possibility of these is necessary to the joy of deliverance” which this happy ending brings. In this sense, instead of teetering on the edge of failure as in the original Disney film, the new Beauty and the Beast has audiences truly taste it as they watch the last petal wither and die. And yet out of the sorrow of this moment comes unlooked-for joy. So from all of us here at Hogwarts Professor come many wishes, hopes and prayers for joy this Easter. Not for just any old joy, but for that primary Joy that comes from the eucatastrophe of the Great Story, which Tolkien says embraces the very essence of all fairy-stories. Be not ashamed or chagrined when the new Beauty and the Beast film or any other of your favorite “fairy stories” moves you in a fraction of the way the Gospel has moved the world. For far from abrogating or demeaning other, lesser stories, Tolkien says the Gospel hallows them. I invite you to follow me on Facebook and Twitter (@ekcstrand). And a very happy Passover and Easter to you and yours! Susan Raab’s post on 1991’s Beauty and the Beast as a ring cycle. Like most Disney films, this one suffers from an excess of cuteness — I think Toelkien would have hated it. Before praising this version, watch Cocteau’s magnificent La Belle et Le Bete, one of the great films of all time. John, greetings on Bright Week. 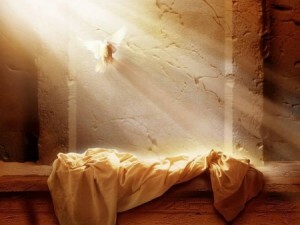 The Lord is risen!